Chinese civilian surveillance satellite. 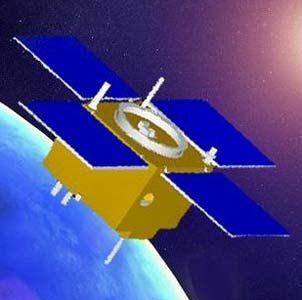 The first 'Experiment Satellite', with a mass of 204 kg, was China's first transmission-type small satellite capable of stereo mapping. AKA: Experiment Satellite I;Tansuo-1;TS-1. Status: Operational 2004. First Launch: 2004-04-18. Last Launch: 2011-11-20. Number: 2 . Gross mass: 204 kg (449 lb). It was jointly designed by the Harbin Polytechnic University, Chinese Research Institute of Space Technology, Changchun Photomechanical Institute of the Chinese Academy of Sciences (CAS) and Xian Surveys and Designs Institute. It seems to have been derived from the Tansuo-1 (Exploration-1) high-resolution imaging microsatellite, developed by the Harbin Institute of Technology (HIT) and announced in early June 2000. This satellite was to have been launched in 2001, but never appeared. 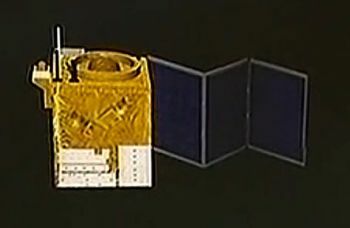 Tansuo-1 was a 150-kg microsatellite with a 10-meter stereo resolution camera. It was developed in collaboration with the European Astrium Corporation. The satellite was, officially, mainly to be used to carry out a photographic survey of China's land resources, monitor its geographical environment and conduct scientific mapping research. It was to be handed over to the Satellite Remote-Sensing Ground Station of CAS following the on-orbit testing. Family: Civilian surveillance satellite, Earth, Surveillance, Technology. Country: China. Launch Vehicles: Chang Zheng 2C, Chang Zheng 2D. Launch Sites: Jiuquan, Xichang, Xichang LC1. Agency: Harbin. Bibliography: 2, 6872, 13089.